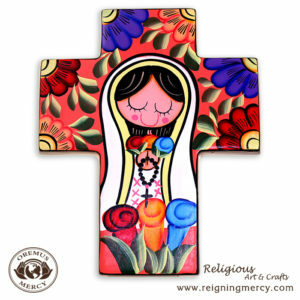 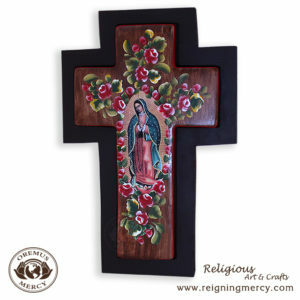 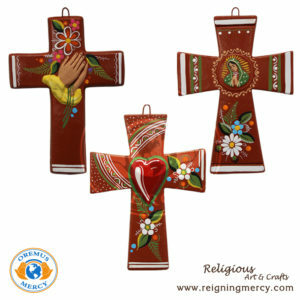 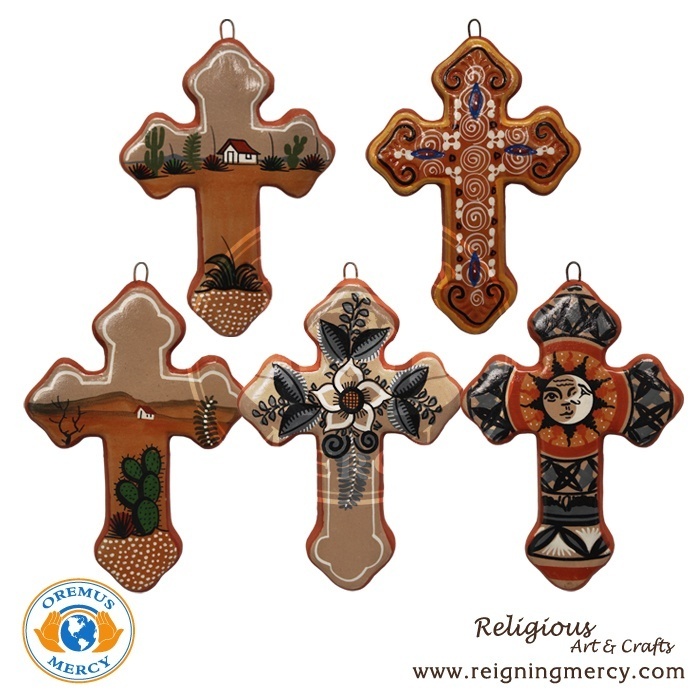 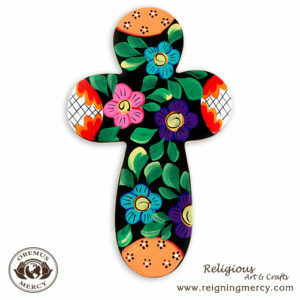 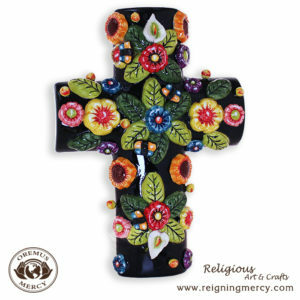 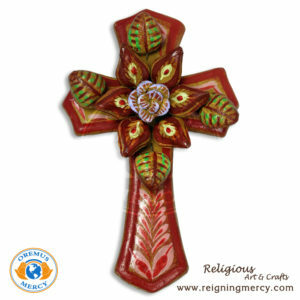 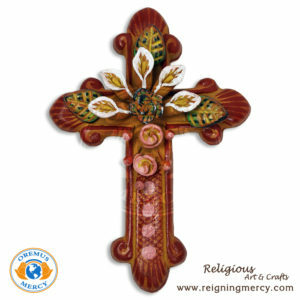 Beautiful hand-made and painted ceramic crosses with tribal patterns and designs. 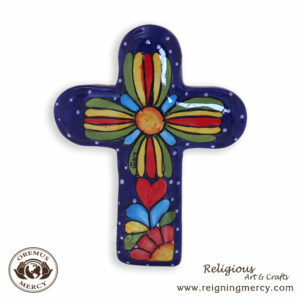 Hand painted in very artistic permanent colors perfect for any occasion. Set of 5 pieces measures 5″ x 4″ each piece.